It is hard to imagine a better wedding or event destination villa than Kaba Kaba Estate, a lavish resort within itself with 8 bedrooms, four swimming pools, a tennis court, spa, media room, library, gym, rooftop terrace and bar, and sprawling lawns that blend seamlessly into the adjacent rice paddies with a backdrop of volcanic peaks. There are numerous chic spots here to gather a crowd, have intimate dinners and discussions, or find your own little slice of tropical island seclusion. 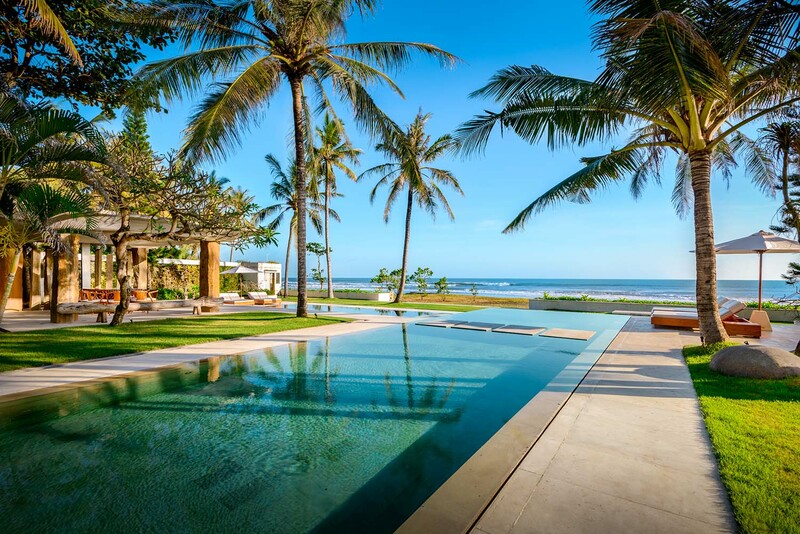 Set in the rural village of Kaba Kaba in Tabanan just a short drive from Tanah Lot temple, the Nirwana Bali Golf Club, and the surf breaks of Canggu, Kaba Kaba Estate is a designer escape far from the crowds but within easy access to some of Bali’s prime attractions. 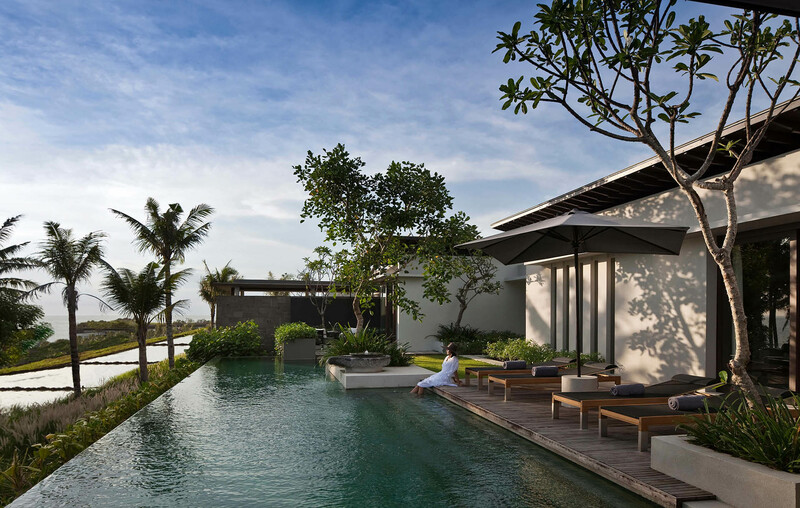 The villa is spread out over 3 hectares with individual one and two-level pavilions that offer elegant living areas adorned with Asian antiques, contemporary artworks, and plush furnishings. Every room has been designed to be aesthetically pleasing, yet cool and comfortable at the same time. Wedding parties will have plenty of space to wine and dine guests and accommodate family and friends, and the villa is also ideal for two or three families travelling together, as there is space to sleep up to 16 people or more on request, plus facilities that cater to children like the wading pool, games room and a special bunk bed suite. 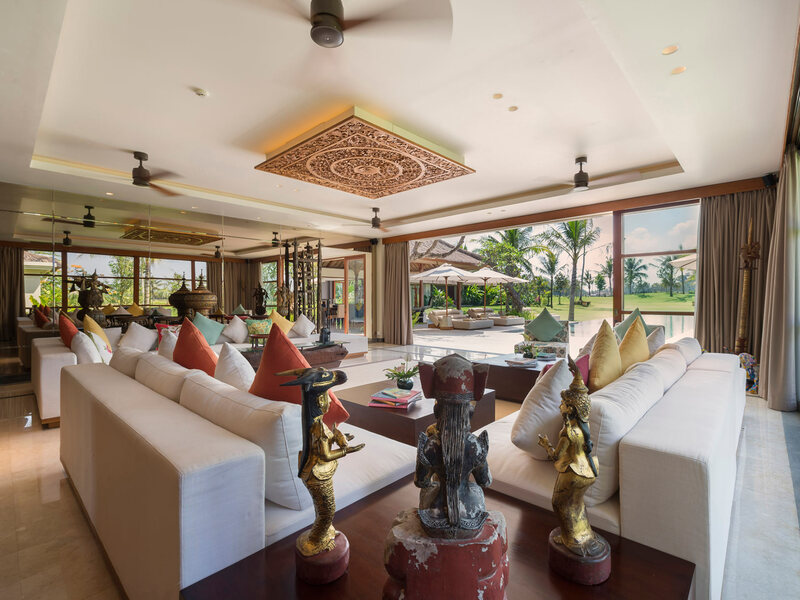 One of the most striking features at Kaba Kaba Estate is the massive open-plan living and dining pavilion with its lengthy white sofas covered in brightly hued pillows, back-lit shelves displaying exotic antiques and artworks, solid wooden coffee tables, and the 6-metre dining table that can seat up to 18 people. This space also houses a guest kitchen with a drinks bar, wine fridge and coffee machine, behind which there is a service kitchen where your dedicated chef will prepare you canapes, snacks and gourmet meals. 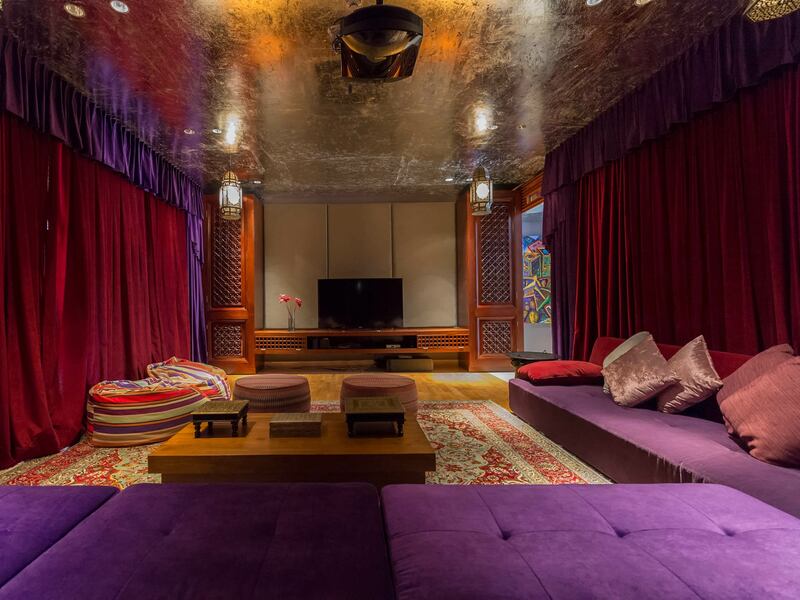 Other indoor gathering spots include the colourful Moroccan themed media room with a 60-inch satellite TV, 106-inch projector screen, Blu-ray player and Bose surround sound system, the library with an ample selection of books on Bali and fiction, and the games room with air hockey, table football and a walk-in room packed with toys. Then of course, there are the bedrooms, each one spacious and stylish with modern amenities like 32-inch TVs, Blu-ray players, iPod docks and spa quality bath products. The master bedroom is a luxurious space with a canopied king-sized bed, a private sun deck with a plunge pool, and an ensuite bathroom with indoor and outdoor showers, and a bathtub open to the sky within a walled private garden. One other guest suite also has its own plunge pool, and one guest suite is set up for kids with multiple bunk beds. Each bedroom has views of the gardens and most have private terraces or balconies and indoor-outdoor bathrooms. 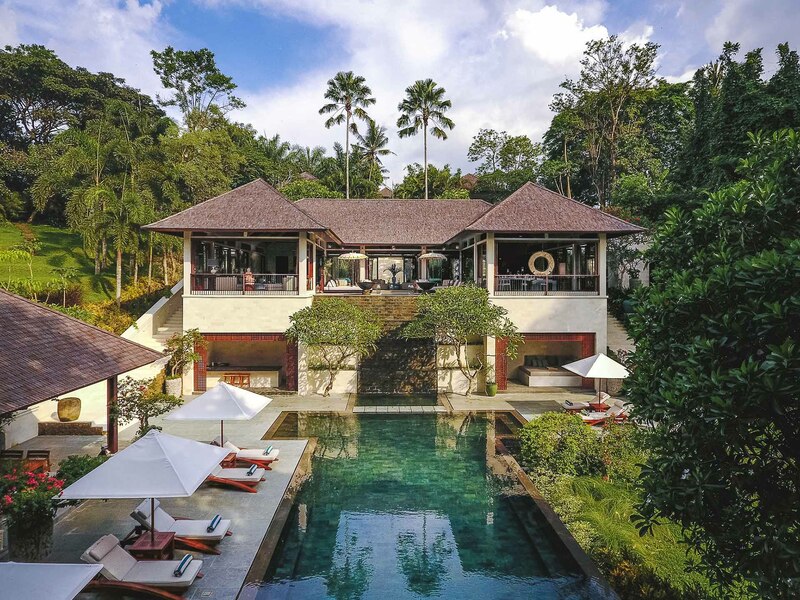 Outdoor living is also a treat at Kaba Kaba Estate, as there is a long 25-metre pool perfect for laps, a wading pool for the little ones, a sunny wooden pool deck with loungers and umbrellas, a rooftop terrace with a covered bale and bar, and lush lawns and gardens with lotus ponds and a duck pond. Fitness enthusiasts can stay in shape at the fully equipped gym and playing games at the tennis court or on the croquet lawn, and afterwards you can wind down with a soothing massage at the dedicated spa. LOCATION Kaba Kaba village, Tabanan regency, south-west Bali, Indonesia. CAPACITY 14 adults + 4 children (8 bedrooms: 5 with king-size beds, 2 with twins convertible to kings, 1 with bunk beds x 4), 2 extra beds available for an extra charge. LIVING AREAS Formal living room, dining pavilion with table for 18, kitchen with drinks bar, three sitting areas, library, media room, games room, rooftop entertainment area with bar. POOL Main pool 25m x 5m, master suite plunge pool 6m x 3m, Pilisan suite plunge pool 5m x 2.5m, Pande kids' wading pool 12m x 2m. STAFF Kaba Kaba Estate’s large staff team includes: a villa manager, butlers, housekeepers, chef, cook, gardeners, maintenance, security. Babysitters and spa therapists are available on request for an additional charge. DINING The villa offers an extensive individually priced menu of Balinese, Indonesian, western, vegetarian and children’s meals, cocktails, wines and spirits, liqueurs and cigars. 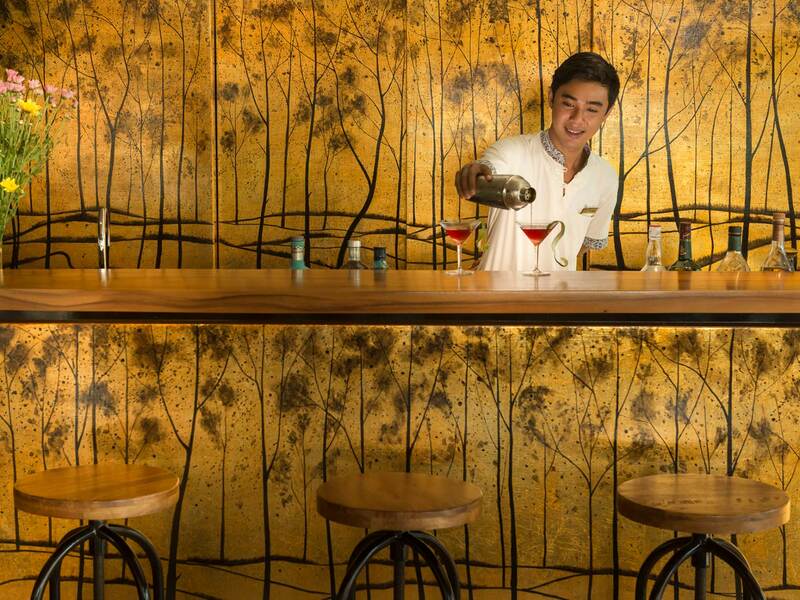 Special, off-menu requests and dietary needs are accommodated, dinner parties can be catered. COMMUNICATION Telephones provided in all rooms (local calls free of charge, international calls on guest account), complimentary WiFi access. ENTERTAINMENT 60-inch satellite channel TV, 106-inch projector screen, Blu-ray disc player, Wii entertainment system and Bose surround-sound system in media room, 32-inch satellite TVs and Blu-ray disc players in all bedrooms (apart from bunk room) plus guest kitchen and Pande living room, 3 iPods, iPod dock in every room. FOR FAMILIES Kaba Kaba Estate is very well equipped for families. 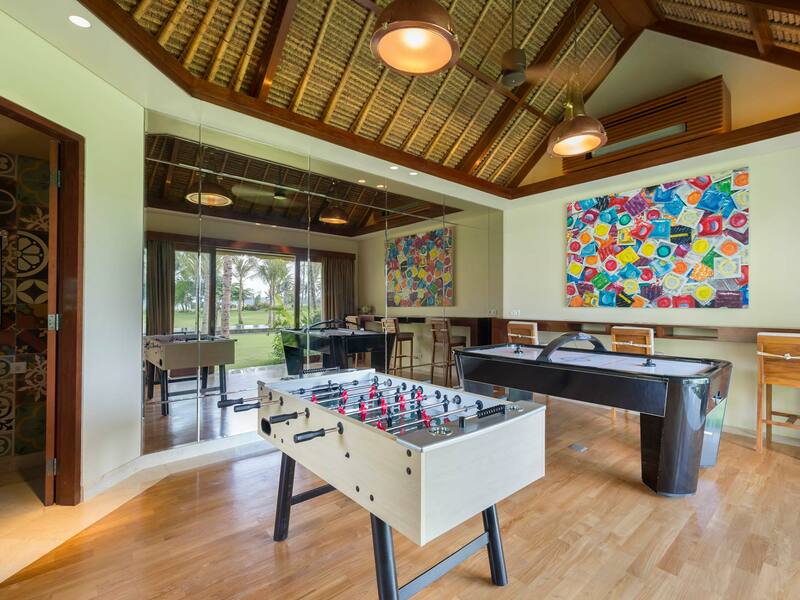 Facilities include a kids' wading pool and a games room, kids' bunk room and fun activities such as Balinese dance lessons or Yoga lessons for adults and kids at the villa. SPORTS Gym, full-size tennis court, croquet lawn, 5 adults' bikes, 2 kids’ bikes. SPA Dedicated spa with two massage tables (plus two portable massage tables for poolside or in-room treatments), spa bath, private garden and bale. TRANSPORT A complimentary car and driver is available for 8 hours a day for villa guests. Alternatively, villa staff can call one of Bali’s safe and reasonably priced metered taxis (on guest account), airport transfers are included in rate. WEDDINGS & EVENTS Kaba Kaba Estate is a wonderful wedding and event venue, catering for up to 200 people (with prior notice). ADDITIONAL Barbecue, in-room safes, generator back-up, air-conditioning and dehumidifiers in all bedrooms and dressing rooms. PROPERTY AREA 2,600 sqm (villa). 13,000 sqm (land). 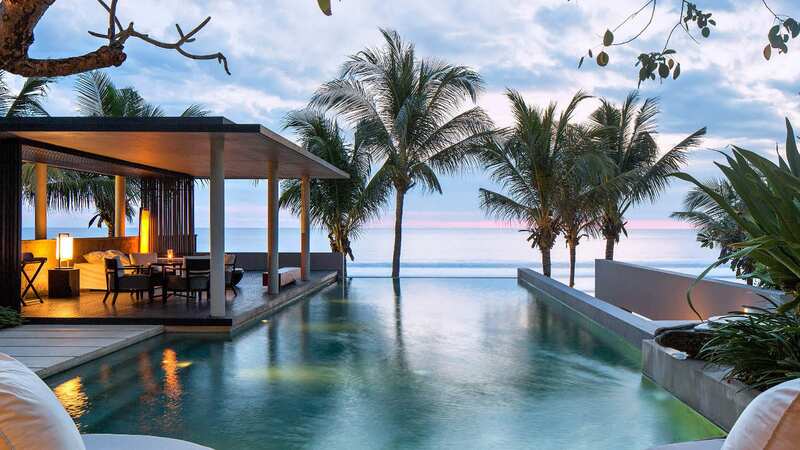 Escape to the pristine wilderness of Bali’s southwestern coast at the Soori Three-Bedroom Residence, an exclusive private villa at Soori Bali. This stunning property sits on the edge of a sparkling black sand beach and offers unrivalled views of the Indian Ocean. 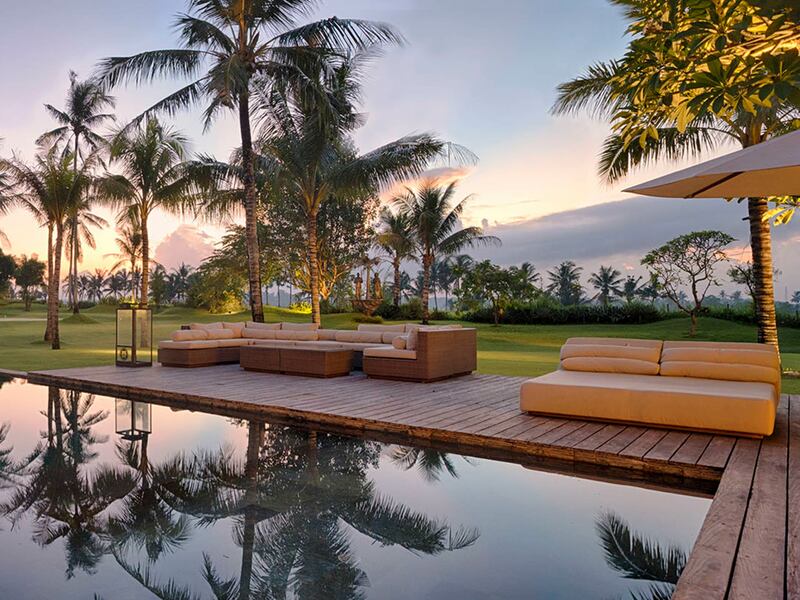 Soori Residence is a masterfully designed 6-bedroom beachfront villa with unobstructed views of the Indian Ocean. 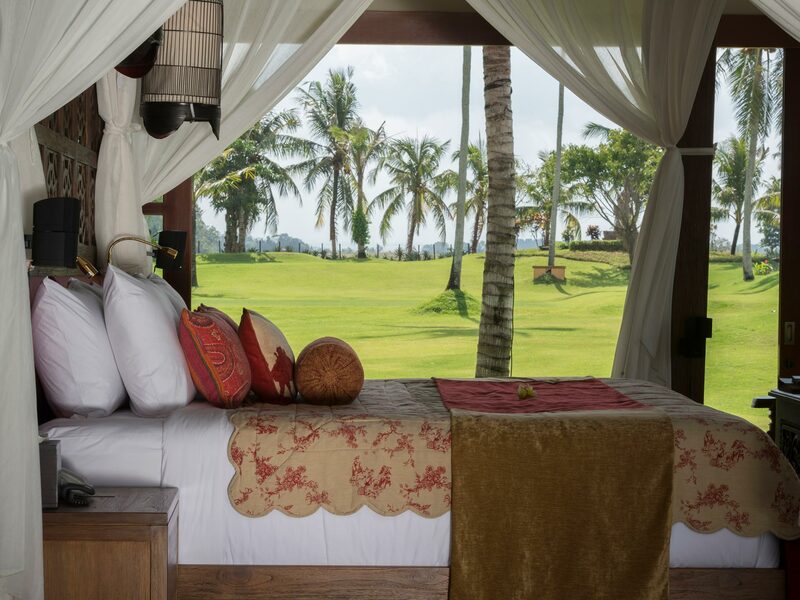 Perfect for an undisturbed luxury getaway, complete with an infinity pool, gourmet kitchen, bar, gym and spa room. 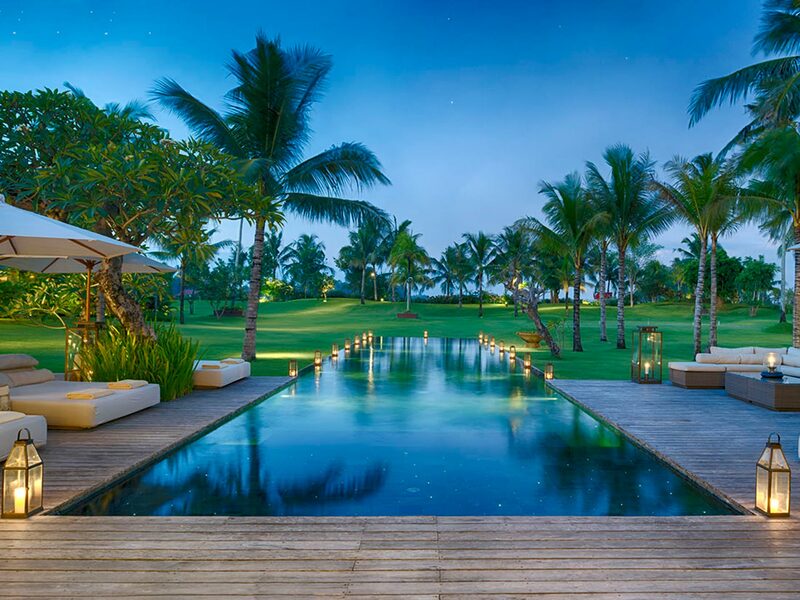 Opulent would be one word to describe Soori Estate, a spectacular 10-bedroom beachfront villa located at the prestigious Soori Bali. 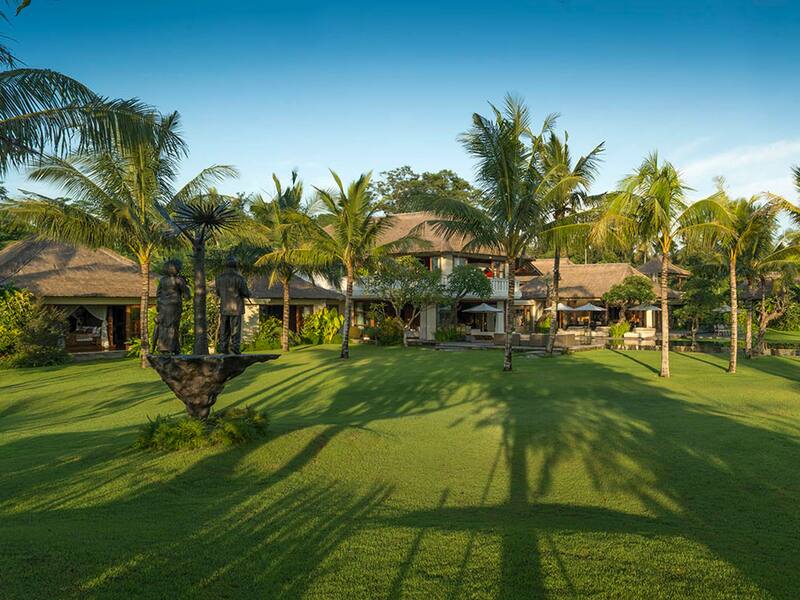 The single largest residence on the island, Soori Estate is the ultimate luxury Bali villa for large groups. Villa Vedas is a spectacular 5-bedroom luxury beachfront villa set on a pristine beach in Tabanan. The villa itself is a work of art and the setting here is just simply sublime making it one of Bali's most favourite wedding venues. 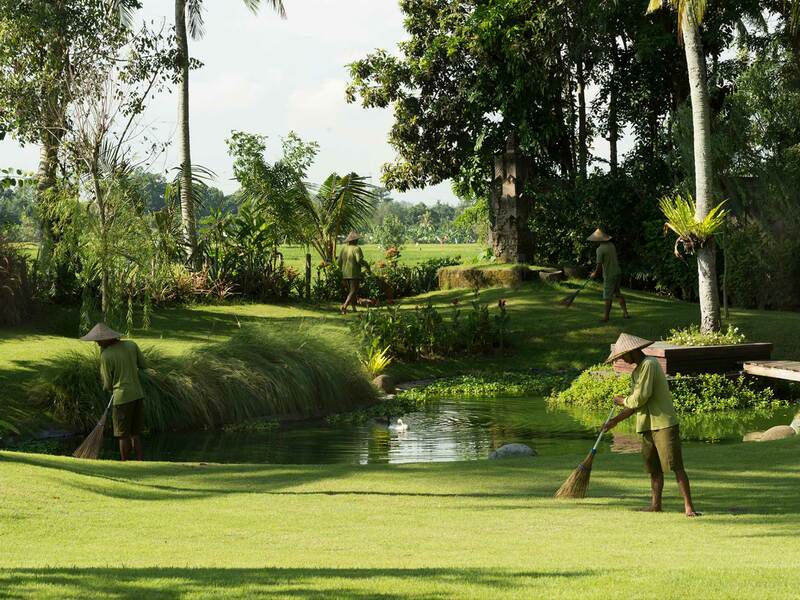 The Arsana Estate is one of Bali’s true hidden gems. 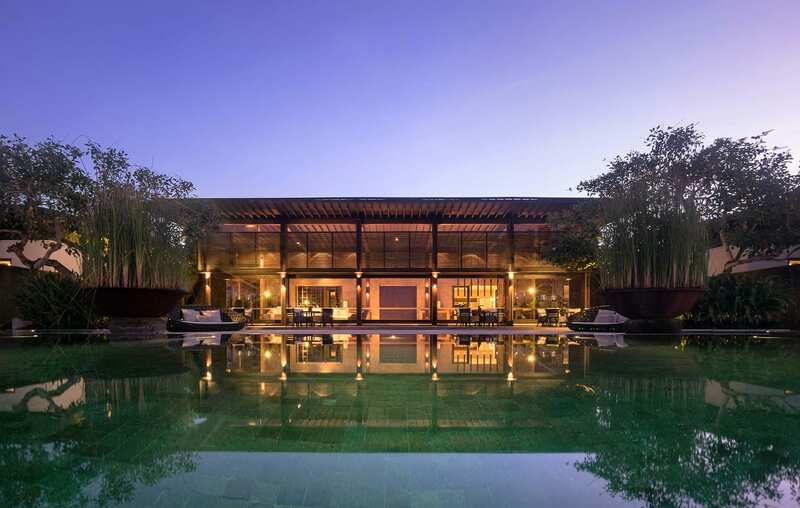 This elegant 4-bedroom luxury Bali villa occupies a gorgeous 2 hectare estate. Perfect for families, large groups and events Sleeps up to 8 Adults and 6 Children.